We are a fusion of both artistic and technically talented people that are continually driven in our passion for making artwork. Built on years of experimentation, we unleash our creative spirit to provide clients with custom-crafted, cutting-edge, and dynamic imagery. We are specialists in the multi-disciplinary arts of Architectural Visualization, 3D Animation, and Motion Graphics and work tirelessly to ensure our work captures the heart of our client’s concepts. Hardwired into the DNA of Triplet 3D’s company culture is the idea that “We’re all in this together.” Working collaboratively with our clients enables us to get things moving, set our ideas free, and inspire one another to dream louder. Integrity, quality, and soul are key ingredients that guide our company’s decisions. The foundation of each project starts by listening to our clients. Establishing clear channels of communication empowers us to nurture and grow an idea into a story that’s told in an exciting and impactful way. 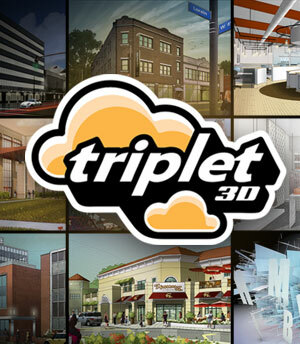 Pete Maric founded Triplet 3D in Cleveland, Ohio in 2013, with the goal of creating a 3D studio that can bring together a wide range of skill sets and experience to deliver inventive, high quality work to clients. 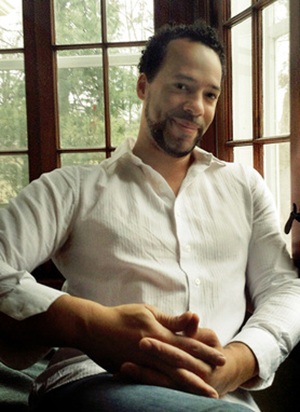 He graduated from The Cleveland Institute of Art before working for three of the top 50 retail design firms in the US. In 2001, he began working independently in the architectural industry and worked with brands such as Adidas, Nintendo, Everlast and Go Media. His work has been featured in the Adobe Illustrator WOW! books, Photoshop User Magazine, Architecture in Perspective, Cleveland Magazine and House Trends. Since 2008, he’s been developing his CGI expertise, and teaches modeling and 3D animation at The Cleveland Institute of Art and Tri-C Community College. Pete is also passionate about playing guitar and has been actively writing, performing and recording music for over 20 years. He was awarded two scholarships to the world-renowned Berklee College of Music. You’ll find Pete playing guitar everywhere from festivals to the local pub. Pete can be reached at pmaric@triplet3d.com. 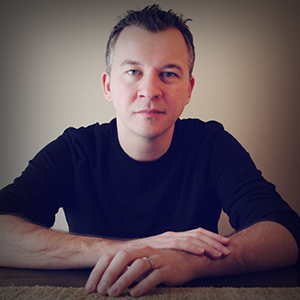 Lincoln Adams has worked for over 15 years as an illustrator, storyboard artist and designer. His projects have included magazines, television shows, character design, book covers, and greeting cards, as well as work as a graphic designer for branding initiatives. Lincoln was selected to the 47th Annual Society of Illustrators West Show in Los Angeles. Recently, he finished work on the popular animated shows: Max Steel, Barbie: SpySquad, Slugterra, Monster High, Veggie Tales and Doc McStuffins. He is also currently working with Disney sculptor and CIA alumnus Zack Petroc on a sculpted novel, and has completed his fourth picture book. Lincoln has worked with Dreamworks Television Animation, Walt Disney Television Animation, Big Idea Entertainment, General Motors, American Greetings, Alltel, Zack Petroc Studios, among many others. 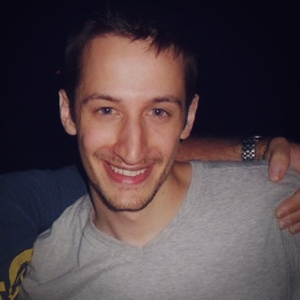 Ivan is an artist who thrives on creating super detailed work and producing high quality 3D animation. He graduated from The Cleveland Institute of Art with a BFA in Digital Art and currently resides in Cleveland, Ohio. All of his stories are character-driven and he tries to find a personal connection with all projects that he’s involved in. If he was not an artist, he would probably have become a scientist. Outside of work, he enjoys reading, running, gaming, eating tons of chipotle, and creating polygon-perfect cyber chic robots. Sarah Bals is a 2011 John Carroll University graduate. 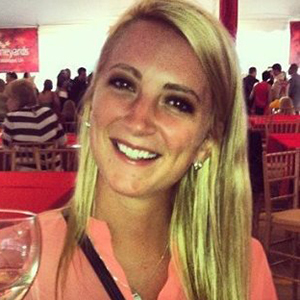 Sarah has extensive experience in social media marketing and event planning from her prior roles with the Ohio Wine Producers Association and Connect 534, an independent marketing position for Geneva, Ohio. In 2015 Bals was named one of Ashtabula Countys Top 5 under 45 for 2015, as well as one of the top 3 candidates for the Ashtabula County Growth Partnership, Community Vitality Award. She has now begun her own independent contracting role in Willoughby Ohio, working with multiple businesses in Northeast Ohio. Bals manages various social media sites and plans small or mid size events. We are always looking for talented people to collaborate with. If you have awesome creative skills, are tech-savvy and like to work on fun projects, we’d love to hear from you. Get in touch at info@triplet3D.com.